In voting, it doesn’t really matter which party you register with on paper. Besides, 18 states don’t even register voters by party. What really matters is what political scientists like myself call your “political identity” – your psychological attachment to a political group, such as a party or an ideological movement. Our goal is to find out how you see yourself – essentially, which team are you on? This is how many people make sense of the political world. According to the Gallup polling firm, the identity that people choose most often is actually “independent” – not Democratic or Republican. In 2017, 42 percent of Americans chose this label – up from the low 30s just 14 years ago, in 2004. However, three-quarters of these “independents” admit, when asked, that they lean toward favoring the Democratic or Republican Party. Judging by how they vote or what they think of national political leaders, the truth is that these “leaners” really are partisans rather than independents. Apparently, many people who like to think of themselves as independent-minded and free of party influence just aren’t. Only about 10 percent of Americans are what we call “pure independents” – that is, people who identify as independents and claim not to favor either of the two major parties. Nor has that percentage grown in recent years. This means that the vast majority of Americans – consistently around 90 percent – are partisans. 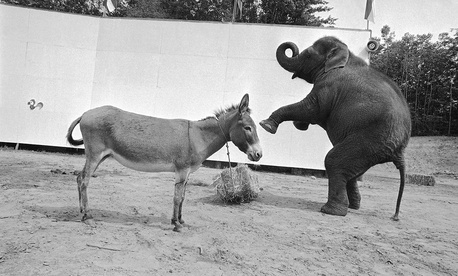 And which party do they favor – Democratic or Republican? In a 2017 Gallup poll, 47 percent of Americans either called themselves Democrats or admitted leaning toward the Democratic Party, versus 42 percent for Republicans and 11 percent independents. In fact, there have always been more Democrats than Republicans in the American electorate – with rare and very brief exceptions – ever since Gallup began polling party identification in the 1930s. It’s important to remember that identifying with a party is not the same as voting for that party. In fact, Democrats are less likely than Republicans to turn out to vote – particularly in midterm elections. This is because young people and other Democratic constituencies tend to be more engaged by the spectacle of a presidential election. As of last month, though, two-thirds of Democrats say that they are “more enthusiastic than usual about voting” in 2018. Fewer Republicans express such enthusiasm about voting in this year’s midterm, for the first time since 2006. In that year, a “blue wave” swept Democrats back into control of the U.S. House and Senate. Democrats hoping for another “blue wave” in 2018 have plenty of company.